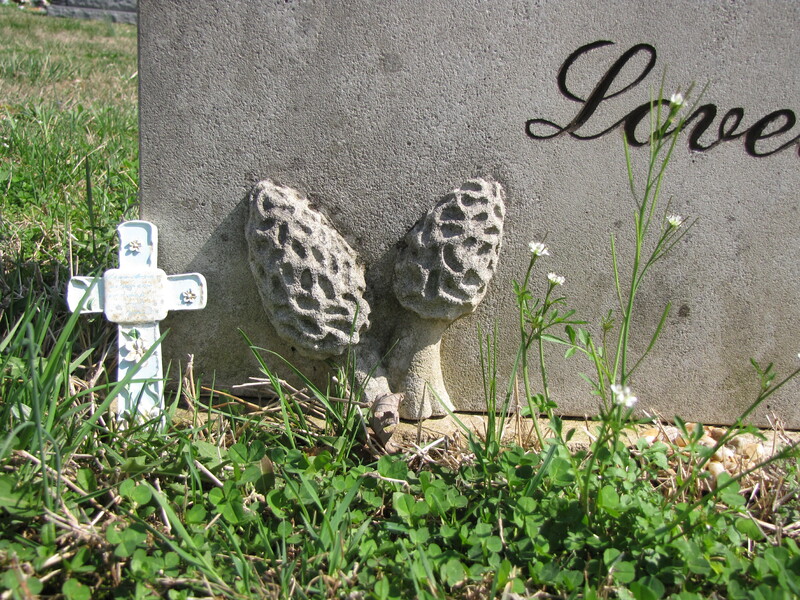 The word morel comes from the Latin word maurus meaning brown and refers to edible mushrooms from the genus Morchella. Around the country, Morel mushrooms are called many names—molly moochers, dryland fish, sponge mushrooms, hickory chickens, merkels, and miracles—but whatever you call them they are delicious. These honeycombed sponge-topped tasty morsels pop up in the spring and are sought after by chefs everywhere. For me, the best way to prepare them is to wash them, lightly flour them and fry them in butter. Pure delight. 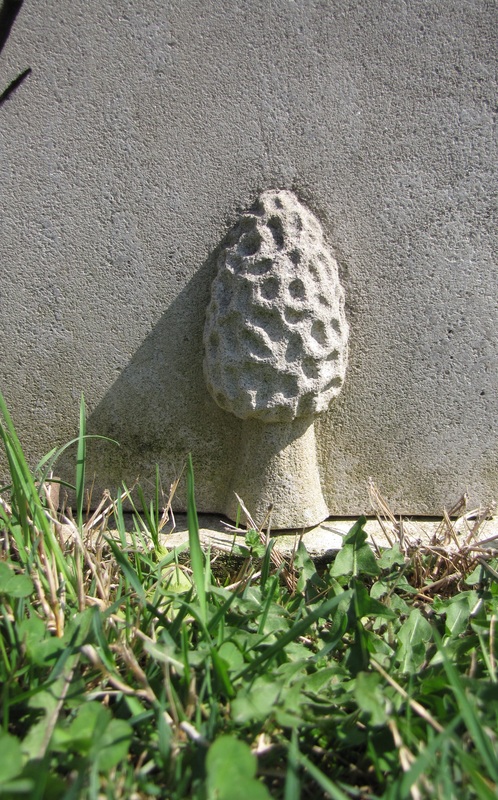 These carved morels on a gravestone in rural Greene County, Indiana, surely marks the grave of a passionate mushroom hunter who enjoyed the search and better yet the reward of a fresh cooked batch of woody tasting delights.